EP Taylor was born in Ottawa, Ontario in 1921 into a wealthy family. Taylor attended Ashbury College and graduated from Montreal's McGill University in 1922 with a Bachelor of Science degree. After graduation, he worked for the investment brokerage firm McLeod Young and Weir (now ScotiaMcLeod). While a student at Montreal's McGill University in 1918, E. P. Taylor was introduced to the sport of Thoroughbred horse racing at Blue Bonnets Raceway. In 1927, Colonel Sam McLaughlin purchased the lands north of Oshawa, Ontario, currently owned By Durham Colloge and the University of Ontario Institute of Technology. These lands were sold to E.P. Taylor and became the core of Windfields Farm, a 1,500 acre thoroughbred horse breeding farm. In its heyday Windfields Farm was famous as one of the top thoroughbred racing stables in North America. Its stable of horses included Northern Dancer, the first Canadian horse to win the Kentucky Derby. 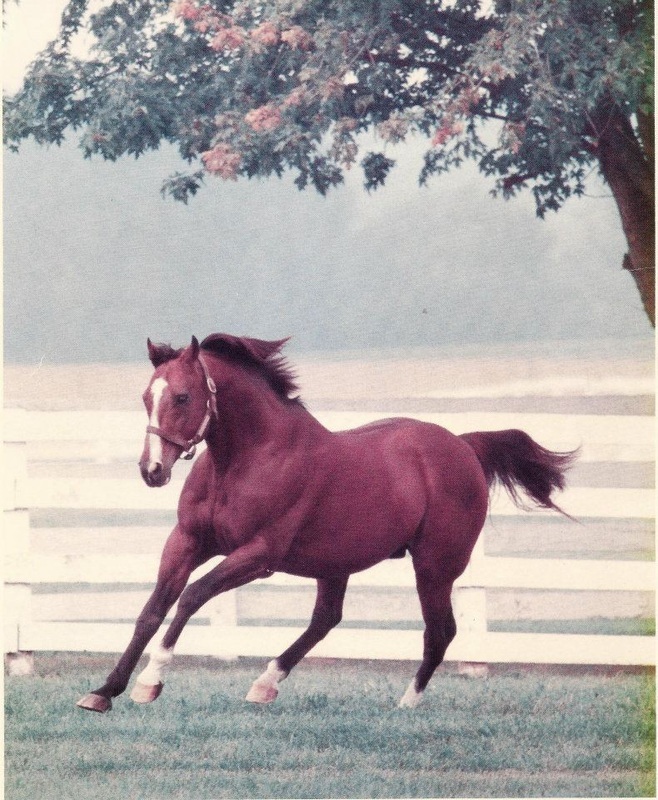 Northern Dancer became leading sire in the world in 1970 and it is estimated that 75% of thoroughbred racehorses in this day can be traced back to him. In the 1980s, Northern Dancer's stud fee reached US$1 million, an amount four to five times his rivals and a record amount that has not been equalled. This platter came about as a result of an art show (EquiArt 2015) that required that the submitted work be somewhat 'horsey'. How does a wood turner do 'horsey'? This was the only solution that I could come up with. And why just any horse? Why not go for the best? I contacted the University of Ontario Institute of Technology which owned the core farm at Windfields and was invited to come and see the farm and choose some wood. 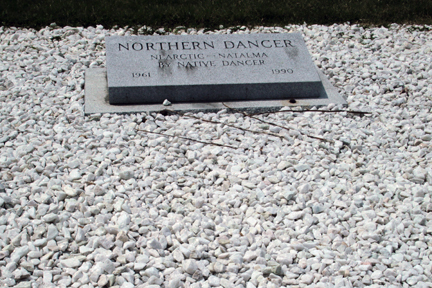 Northern Dancer's gravesite at Windfields Farm in Oshawa. 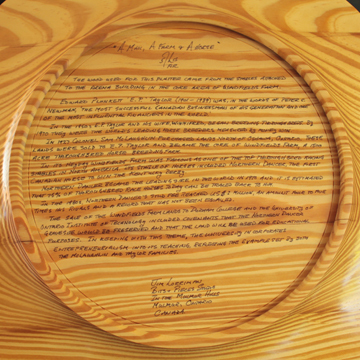 The wood in this platter is from the stalls off the arena at Windfields Farm, the home of Northern Dancer. Here I show the highlights of turning the platter and putting on the first coat of finish. I made two platters from the wood I obtained from the stalls. The University asked that I donate one piece to them for a gift for a donor. I was more than happy to do so. 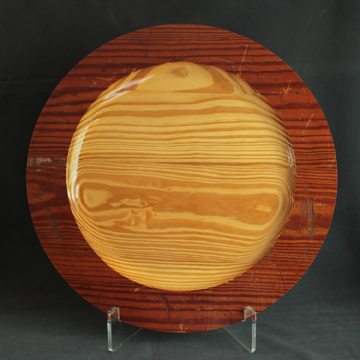 The second platter went to the EquiArt 2015 show and is now part of the History in the Making project. I called this piece "A Man, A Farm & A Horse" and I put a synopsis of the story on the back.